I've spent the last week or so talking about my oldest daughter starting college. Well, I have another Freshman too. Kerri is a Freshman in high school. Today was her first day! Here's a couple pics of her in her classroom. I bet you wish your Freshman classroom was sitting by an indoor and outdoor pool in Florida! You see Kerri's doing an online virtual school this year, so her classroom is anywhere she can take her laptop and have wifi. Man, all I know is I never got to do anything like this. Today is the first day for her and she turned in her first work and got an "A"! Way to go Kerri! I'm so proud of both my Freshmen!!! Love you girls! It's official.....she's a college freshman now! But to me she'll always be my little stuffed animal loving girl. A clean room has never been a priority to Kelli. And at about age 10-12 I finally decided it just wasn't worth the battle anymore and I just learned to leave the door closed. I figured that's what doors are for anyway. There are enough battles worth fighting for, but this was one that wasn't. She was happier and I was happier to not be yelling for the room to be cleaned. And as long as I didn't have to go in the room, there was no problem! I probably won't be back to post for a couple days. Hopefully, I'll get some pictures of our trip and be able to show you a little of where she is and of the moving process. Then our plans are to stay a few extra days and Tracy, Kerri and I hope to go to the beach and do a few other fun things. So I'll probably be talking to you soon. Sure would appreciate some prayers for a safe trip and hopefully not too many tears upon departure. I love it when I see unexpected things in the sky. It seems that balloons are fairly common in my area, but I don't see a blimp real often. What about in your area of the country, do you ever see blimps or hot air balloons? I saw this balloon while waiting for Kerri and my sister-in-law to come out of the "Y". And we saw this blimp as we were driving home after Sunday afternoon lunch with the in-laws. Click here and play along and/or check out other's answers. Continuing with the back-to-school theme. . . . I'm truly sorry, but my answers for this week are pretty boring. Actually I was never involved in too many after school activities. We lived in the country and had to ride the bus home so we really couldn't stay after school. I did belong to FBLA (Future Business Leaders of America) and Spanish Club, but there were very few meetings the years I was involved in them. I didn't play any organized sports ever. I think that's why I was glad my girls played volleyball and basketball. I did take piano lessons from 2nd grade until I graduated high school. The only award I received was being inducted into National Honor Society which was pretty cool. I never attended even one basketball or football game when I was in high school. I did go to several when my older brother and sister were in school. I only had 2 dates in high school. One was to a Cincinnati Red's baseball game and I attended my senior prom. Never went out with either boy again after those dates. I had quite a few friends, but my parents just never let us run around after school hours. Usually if I went places with someone it was my older sister or a cousin from church. It's just the way it was and I usually didn't mind. So since my answer is pretty boring to this week's prompt, I thought I'd post this video so you can leave my blog with a good laugh. 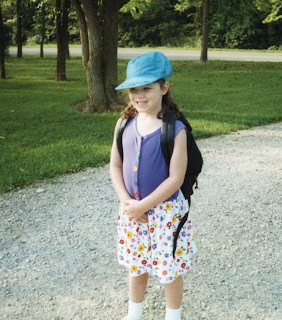 I cannot for the life of me believe that this little thing is leaving for college in less than a week. Can't be true! 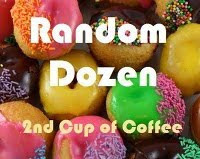 Click here to participate in Random Dozen this week. It's really a lot of fun so you ought to play along. I'm not sure. I'm kind of a creature of habit I think. Christian Fiction is my favorite. Least favorite is a textbook. Gold but either is fine. Seeing my hubby and girls succeed at something they try. 8. If you didn't know how old you are, how old would you claim you are? If you mean like a traffic law...such as speed or run a red light to get them to a hospital, then yes. 11. You're having lunch with 3 people whom you respect and admire. They begin to criticize a close friend of yours, not knowing she is your friend. What do you do? I'd probably try to defend my friend in a nice way. 12. Which of the 5 Love Languages is your prominent means of experiencing love? Quality time and Words of Affirmation were my 2 most prominent. Not sure which is your most prominent love language? Take the quiz! As of yesterday, it's official. I'm getting old. 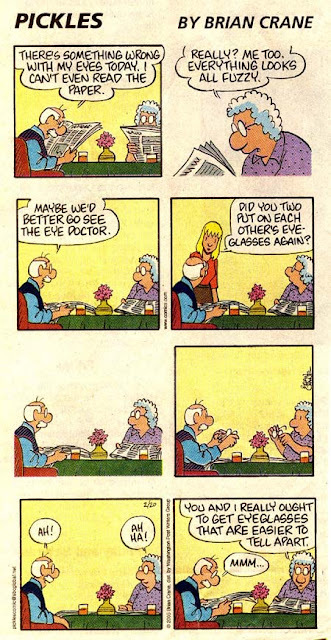 I went to the eye doctor and I now have to have bifocals! I can't believe it! I just hope it's awhile before hubby needs them so we don't end up like this too soon! A Blog With Substance…I can't believe it! 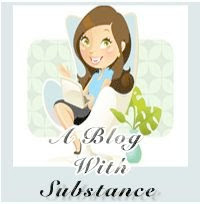 My friend Nel at Fastenau Facts, chose me as one of her recipients of the Blog of Substance award. I can't believe it. Thank you so much. Nel is a really sweetie eveyone and strongly suggest you go visit and check out her blog. According to Webster’s Dictionary the meaning of substance includes substantial or solid character or quality. Substantial meaning of ample or considerable amount or size. As part of the acceptance of the award you have to choose 5 words that sum up the philosophy, motivation and experience of your blog. You also have to pick 5 recipients deserving of the award. This is a hard task because there are so many good blogs out there it is hard to choose. Here are 5 bloggers I choose as recipients of this award. Check out these blogs. You'll be glad you did. While writing the review yesterday on Sheila Walsh's Book, "Beautiful Things Happen When a Woman Trusts God", I ran across this video on YouTube and wanted to share it with you. Dear Lord, please raise me up to all You want me to be! I really enjoyed this book and feel like I learned some good stuff. My favorite was a statement she made close to the end of the book. “If the whole point of the journey is to learn to become more like Jesus, which is to trust God 100 percent, then the places we have been or where we are headed seem to fade into insignificance.” It just never dawned on me that that is what it means to become more like Jesus…just trust God 100%. If we do that everything else just falls into place. If we trust Him we’ll have joy. If we trust Him we’ll have peace. It all hinges on trust. Thank you Sheila for this and many other wonderful insights into being a woman who trusts God! I highly recommend this book to every woman who trusts God. Click here if you would like to purchase this book from Thomas Nelson.
" Consider it pure joy, my brothers, whenever you face trials of many kinds, because you know that the testing of your faith develops perseverance. Perseverance must finish its work so that you may be mature and complete, not lacking anything. If any of you lacks wisdom, he should ask God, who gives generously to all without finding fault, and it will be given to him. But when he asks, he must believe and not doubt, because he who doubts is like a wave of the sea, blown and tossed by the wind. That man should not think he will receive anything from the Lord; he is a double‑minded man, unstable in all he does. If we must go through hard times (and everyone does sooner or later) we might as well learn something along the way and benefit from it. I just consider it as though I'm a piece of wood and Jesus is using the hard things as sandpaper and is taking away my rough edges. Sure does hurt, but in the end I hope to be more like Christ. I just viewed this video at "Shout a Joyful Noise!" and just had to share it here too. So let's be encouraged and keep on keeping on! Click here to join up and play along on Flashback Friday with Mocha With Linda. 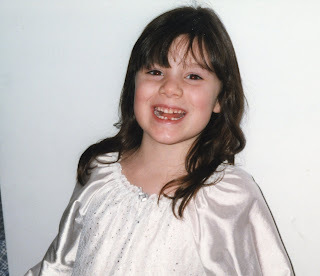 Flashback Friday Prompt: What did you want to be when you grew up? Why did you want to be that, and did you do it? Did you consistently plan to be whatever it was, or did you change your mind often? Did you do anything like volunteering or interning to give you a taste of your future occupation/role? Were you as happy/satisfied with what you became as you thought you would be? What surprised you? Would you choose it again? Do you still want to be something else - either in addition to or instead of? I am happy with being a mother and I like my job too, but I think now I'm really just waiting to retire and enjoy some traveling with my hubby. Of course this is still a few years away. This is actually my 509th post, but I missed noticing when the 500th went out, so I'll celebrate 509 instead! Who would've thought that I ever would have lasted this long doing a blog. It'll be 2 years in September. I never knew I would love it as much as I do. I enjoy writing and telling people about my life and my faith, but most of all I enjoy getting to know all of you. I feel like I've made some really awesome friends! I love the fact that I can call on your for prayer when I need it or call on you to celebrate my happiness or just to share my normal day to day life. I love that you feel free to ask me to pray or celebrate with you too. That's what friends do and you all are really great friends. I hope some day to get to meet all of you. If not here on earth, than in heaven. We can have a great big blogging party up there some day! Won't that be awesome! Facebook. I've been enjoying Facebook and getting to know and see some of you there too. If you're on FB and we aren't friends yet, please click on my FB badge on the left sidebar and friend me. I love reading the little status updates on everyone there. I think it makes us seem even closer. Twitter. I do Twitter once in a while too and would love to follow you or have you follow me if we don't already! Just another way to keep in touch. Okay, I guess that's all the random I've got for now. "Not a Saprrow Falls" by Linda Nichols Click on title if you are interested in purchasing this book. Back Cover: Mary Bridget Washburn is tired of running, tired of being haunted by the empty shell her life has become. How in the world did the little girl she once was become a woman on the wrong side of the law? 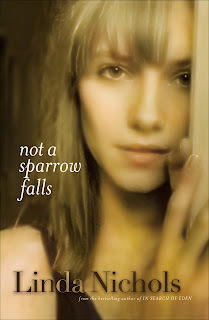 Determined to make a new start, she escapes to the quaint city of Alexandria, Virginia, where she takes on her mother's identity and finds sanctuary in the shadow of a decades-old church. But a little girl's plea proves to be her undoing, and the reverend•well, someone's got to open his eyes before disaster comes calling. Can Mary Bridget and her tainted past stay hidden long enough for her to bring hope to a family falling apart? My Thoughts: This was a very good book and I enjoyed reading it. It's a lot about relationships, past and present, but mostly to me it's about redemption. About how we can know God and fall away, but He's always ready to forgive and take us back. My favorite line in the whole book is: "You can't out-sin the cross." That is so true! Thank you, Lord! I highly recommend this book. FTC disclaimer: This book was provided for review by the Bethany HousePublishers.